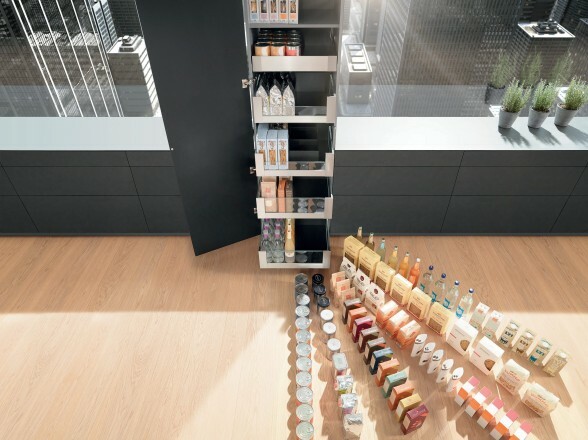 A well-designed pantry is a must for any kitchen and the Space Tower pantry is the ultimate space saving solution. Providing generous room for provisions, the flexible design can be tailored to different individual needs. Full extensions can be opened individually providing easy access from three sides. 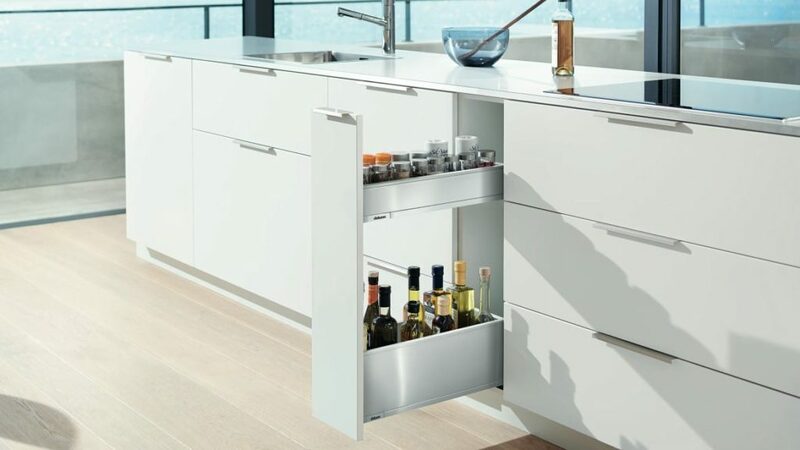 Full pull-outs are ideal for storing provisions. Designed to suit any space, this Base Cabinet has spacious full extensions that give clear visibility and easy access to provisions. They can also be combined with electrical or mechanical motion support system. Organisation is often half the battle when it comes to optimising storage space. 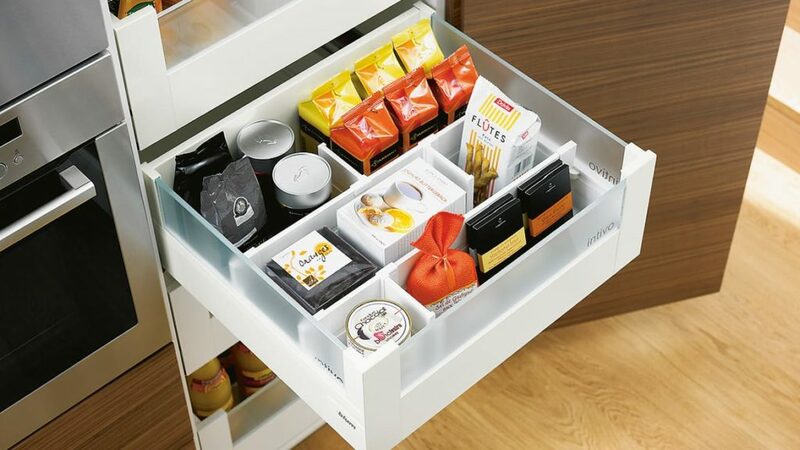 With flexible Orga-line Inner Dividers storage space can be individually tailored to keep everything nice and tidy and easily accessible. Dividers not only help maintain organisation but can ensure contents don’t spill.